...to let you all know I'm still here. I thought I was getting back into the routine of blogging and writing posts on a more consistent basis, but I guess I was mistaken. Here are a couple of phone pics from the weekend. 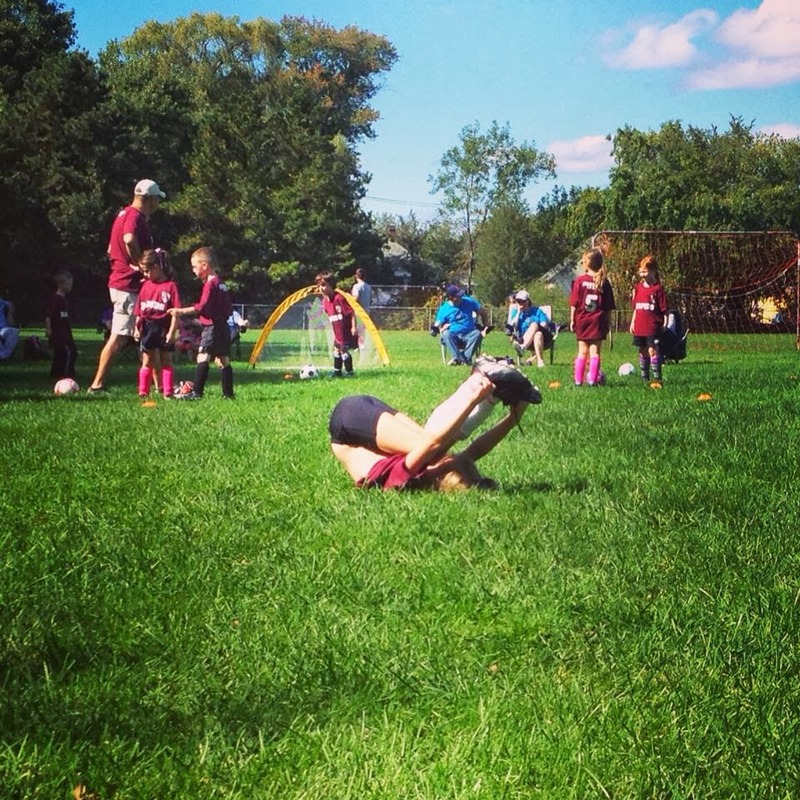 I'm not sure Little Miss is cut out for soccer, but perhaps yoga instruction is in her future. 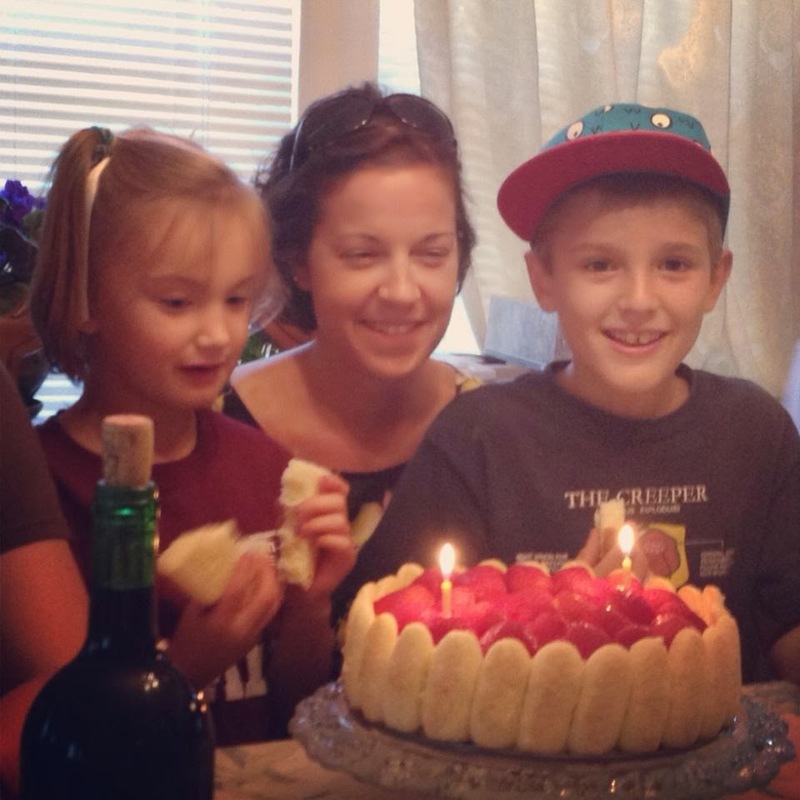 Yesterday was my 40th birthday plus one. This picture was taken on Sunday at my in-laws house. Again this year, I had to work hard at not repeatedly crying all day with the various texts, facebook messages, happy birthday songs, and cards wishing me a happy birthday. It's a beautiful thing to feel so abundantly loved.